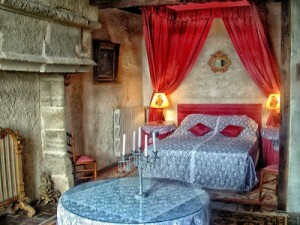 Fancy a cheap chateau b&b break in the Auvergne? 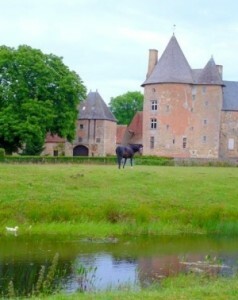 A short break in a medieval chateau in France need not break the bank, particularly when that chateau is offering 3 nights for the price of 2! Yes, it is a bit of a bargain, isn’t it?! If you’ve got a family with younger children, their imagination is sure to be sparked by the towers and turrets, the thick old stone walls and the enormous fireplaces. Flybe offer cheap flights from the UK to Clermont-Ferrand airport from where you can hire a car. Clermont is just 63 kms from the chateau which is very handy. With regards to what the area has to offer, did you know that there are vineyards in the Auvergne? Not many people do! The most well-known ones are those of Saint-Pourçain which is only 15 minutes away. In the area you can sample and buy red, white and rosé wine. For those interested in old chateaux and historic buildings in France, the Routes Historiques des Chateaux de l’Auvergne is sure to be of interest to you. Click the link for details of all of the chateaux that are open to the public and events that are being held throughout the summer months.